heller44 and BlueRaven like this. Alright. That's probably enough of a love-in. Gotta be some ghetto PC lovin somewhere in all of that. Odds-on that it will be 'NO'. I just don't have the time these days. I wore an onion on my belt. adamsleath, macktheknife and FIREWIRE1394 like this. Where are we going today fellas? The bowls club or a trip down memory lane? Alby1976 and MUTMAN like this. I know this is pretty ghetto 101, but new board has a USB-C port on the back and a front header but old case doesn't have a front port for it. Also wanted more airflow. Case front taken off, and USB-C cable routed to the front with a helpful velcro tie attached to the now empty front door hinge. What is this 'velcro' trickery? Where be thy zip ties? BlueRaven and macktheknife like this. It's an upmarket ghetto mod. That’s what I did to mine when it didn’t-quite fit. 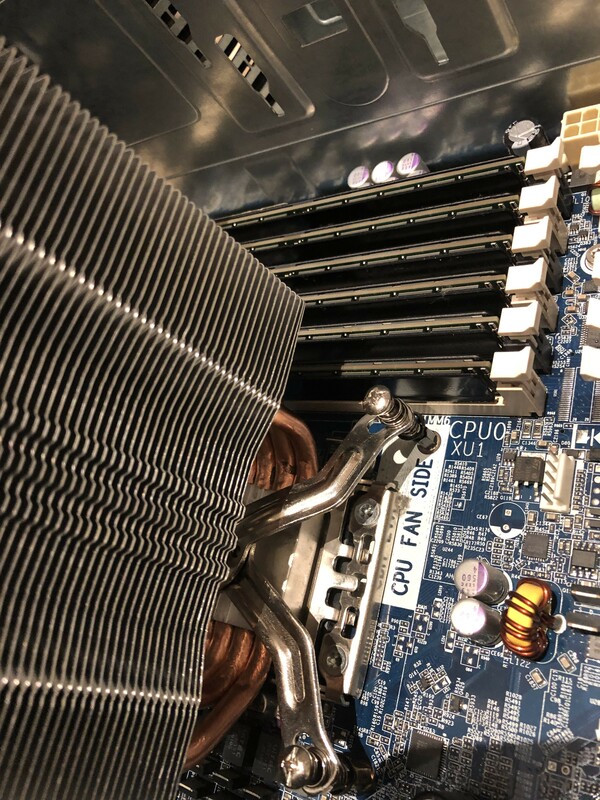 isn't the flat side of the cooler supposed to be facing the ram slots so there's clearance? A few months out from the big Four-Oh... that makes me Officially Old as far as I'm concerned. Those damn youngsters can GTFO my lawn. Wow, that is showing your age, not that I'm any better. How do you know I don't watch re-runs? This is true, but im betting on not. When have they rerun Catweazle? You are older than you will admit, methinks. Or are you a pirate? When have they rerun Catweazle? You are older than you will admit, methinks.